Are you admiring a body with full muscle growth? It will no longer an impossible, since there is a workout routine to follow to achieve the goal quickly. This article gives you best advice for best body workout routine. Let’s keep on reading and see what you can find in here. In the workout practicing process, you can never skip a full body workout exercise. It helps you build muscles and increase the strength on the whole effectively. This instruction for such effective workout routine requires only 3 workouts for a week to completely develop your strength and muscles. This full body workout plan needs three days in your week to show the best results. You will need to have workouts on Monday, Wednesday and Friday. Too much practice is also not good for building muscles, but make you quickly exhausted. It is better to alternately have workouts, and take a rest in the next day. 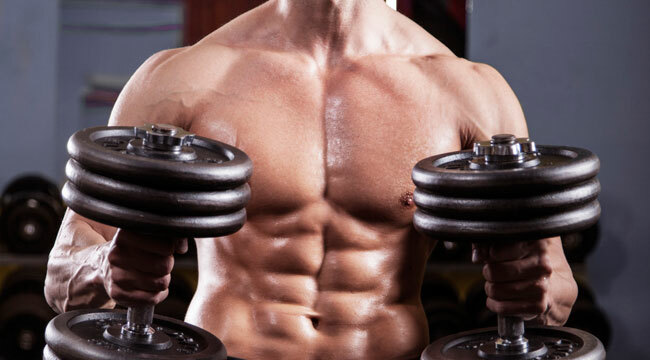 There are two workout you can follow to make the routine the most effective for muscle growth. The workout A consists of seven exercises: Barbell Bench Press with 3-4 sets of 6-10 reps; Barbell Back Squat with 3-4 sets of 6-10 reps; Pull-Ups with 3-4 sets of 6-10 reps; Lying Hamstring Dumbbell Curls with 3-4 sets of 10-15 reps; Standing Overhead Press with 3-4 sets of 10-15 reps; Face Pulls with 3-4 sets of 10-15 reps; and Drag Curls with 3-4 sets of 8-10 reps. You do not have to follow the exact order of exercises above. Based on your own priorities that you can rearrange the routine of workout A to suit. The workout B is a different in terms of its exercises, which include Barbell Deadlift with 3-4 sets of 6-10 reps; Incline Dumbbell Press with 3-4 sets of 6-12 reps; Bulgarian Split Squat with 3-4 reps of 6-10 reps; Chest Supported Row OR Inverted Row with 3-4 sets of 6-12 reps; Dumbbell Lateral Raises with 3-4 sets of 10-15 reps; Incline Dumbbell Kickback with 3-4 sets of 10-15 reps; and High to Low Chest Cable Flies with 3-4 sets of 10-15 reps. If you want to learn more about these exercises, how to do them and how effective they are, let’s read our other articles to find out.